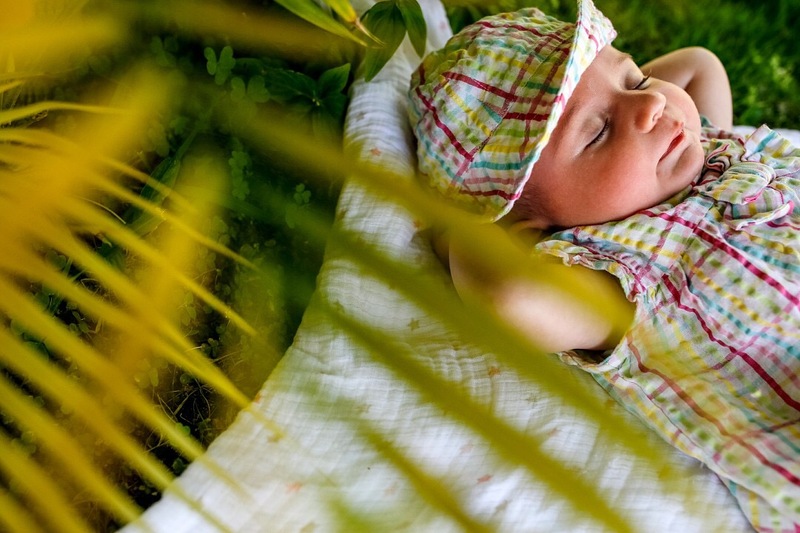 So this is the second instalment of #babysfirsttrip series, where we interview new parents on their first trip with baby. This couple, Kristin & Chris are very seasoned travellers. Their responses will provide some great insight into transitioning from couple travellers to family travellers now! 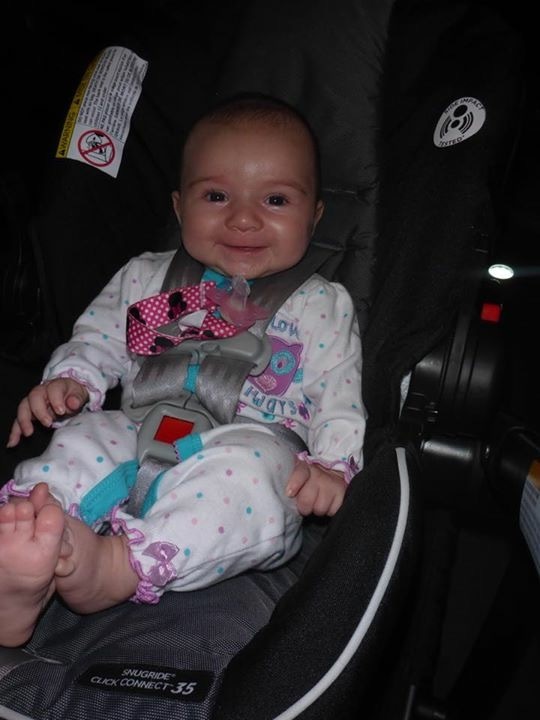 Thanks so much Kristin & Chris for sharing baby Jenessa’s first of many trips. 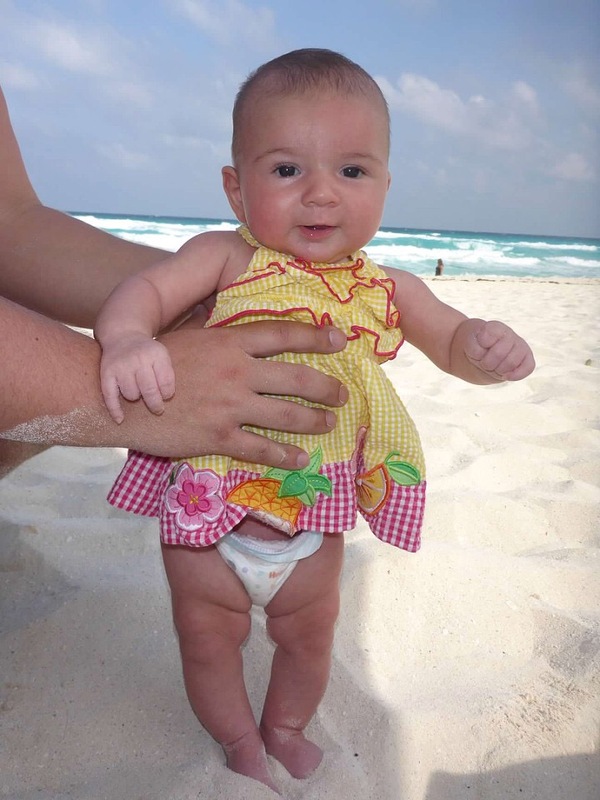 We went to the Moon Palace all-inclusive resort just outside of Cancun, Mexico with our 3 month old baby girl. We went for 2 weeks of quality family time that allowed us to enjoy warm weather, beautiful sights, great food and relaxation. 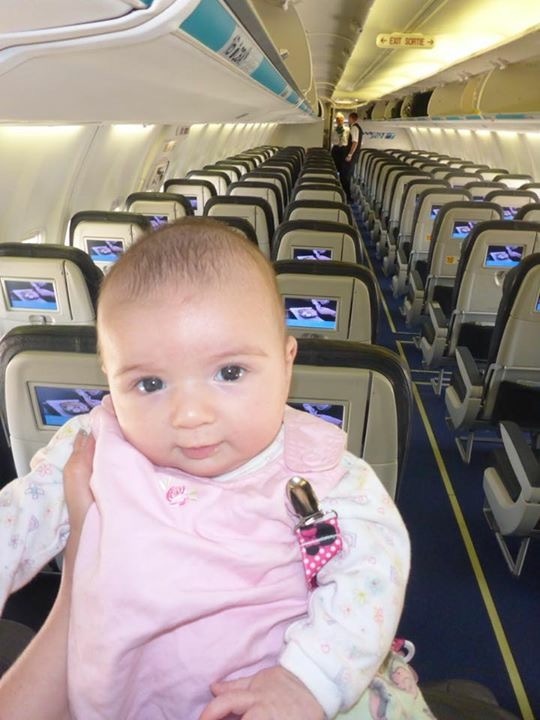 We were really happy that the strategy of feeding the baby during takeoff and landing actually worked! Jenessa didn’t make a peep throughout the entire flight! We were thrilled because you just never know how things will actually go until you experience them. Another thing that was super helpful was that we booked the aisle and window seat and we were very lucky that the middle seat remained open. Extra space is always handy when you have a baby and all their stuff! We also appreciated that WestJet let us gatecheck our stroller and car seat free of charge! One other thing to mention is that on the way there we had a direct flight and on the way back we had a connection in Calgary. The direct flight was definitely more convenient and whenever possible, I will try to book direct flights in the future. We weren’t sure how she would respond to the heat/humidity and thought we might have to spend a lot of our time in our air conditioned room, but she was very happy and content while outside. We were also worried about how we were going to handle all of our luggage and a baby at the same time on our travel days but we didn’t find it too bad at all. All of the extra stuff that we needed to pack. We bottle feed a combination of breast milk and formula and because she was younger than 4 months, we were still feeding her the sterile, ready to feed formula, which is heavy and bulky. We also took a bouncy chair for her, a pop-up travel cot for poolside naps, her favourite kick and play piano toy, an infant swimfloat with sunshade, infant ear protection and a whole lot of diapers. We were happy that the resort was able to provide a microwave for us to sterilize bottles and a crib for her to sleep in. It’s a toss-up! 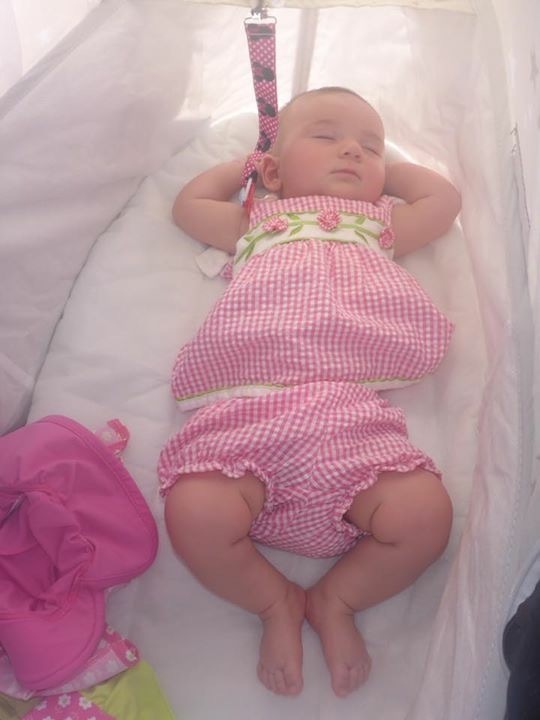 When we were out of the room, we were very grateful to have the Koo-di portable infant pop up cot. It allowed Jenessa to have comfortable naps by the pool. When we were in our room, we were happy to have her Fisher Price Kick and Play piano to help entertain her. We’ve already got another one booked!! The next one will probably be more challenging. 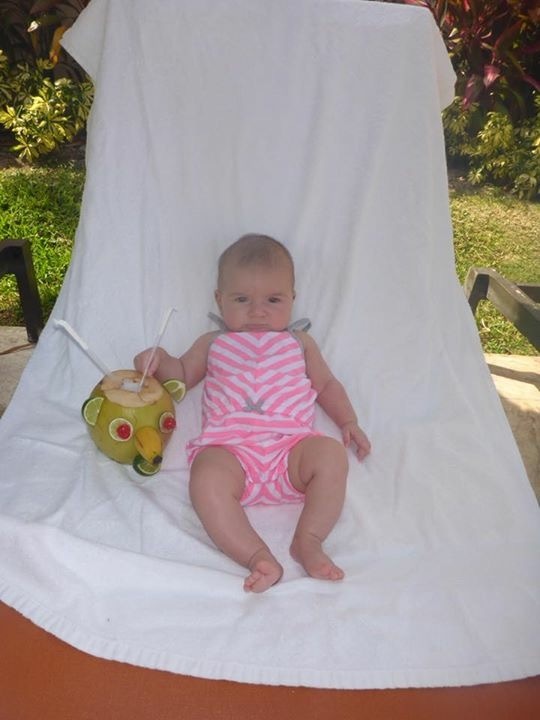 3 months was a pretty easy time to travel as she’s not mobile yet! She’ll be 10 months old for our next big trip and she’ll probably be getting around pretty good by then. It will make it more challenging but, we’re up for the challenge!! We’re going to try a Caribbean cruise for that trip. We are going to take advantage of her being able to fly for free until she is 2! Our big trips will change for the next few years. In the last few years, we’ve travelled to Asia, Africa and South America. 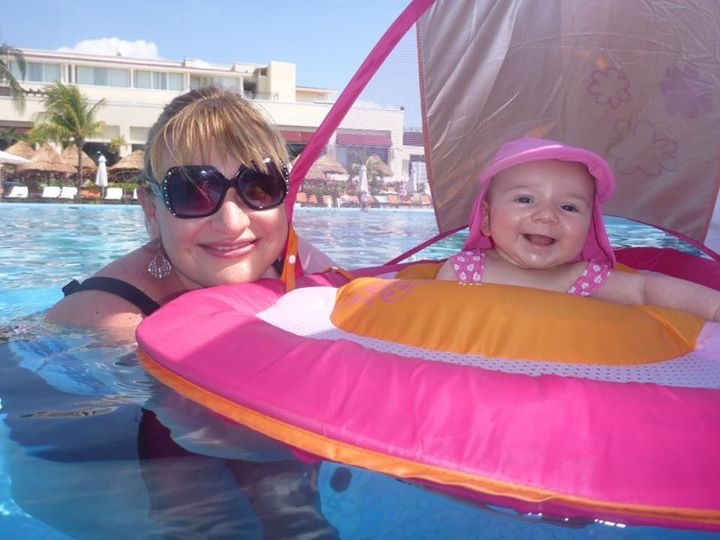 For the next few years, we’ll probably do more all-inclusive holidays because it’s a much easier way to travel when you’re with a baby. Be prepared to go with the flow. It was definitely a different kind of a trip for us than what we’re used to but we just tried to relax and go with it. You obviously have to work around their schedules. If you have family that is available to join you for the trip that would probably be great as it could allow for a bit of down time. Absolutely! I created a shutterfly book with lots of photos from the trip when we got home. I can see that becoming one of her favourite books. A few times while we were away, I used the quote “she’ll never remember; we’ll never forget!” But through photos and stories, I think she’ll know lots about her travels. What a hit she was with the staff! For most of her naps, we swaddled her up tight. The staff referred to her as the little taquito! They regularly came over to visit with her-we got way more staff attention than we’ve ever got! We have a passion for travel and don’t want that to stop because we’ve had a baby. We hope to share that passion with her. The world is such an amazing place and we’re excited to continue to see it, not only through our eyes, but also through the eyes of our daughter! Thanks so much to Kristin & Chris for sharing your story with The Passport Kids readers. 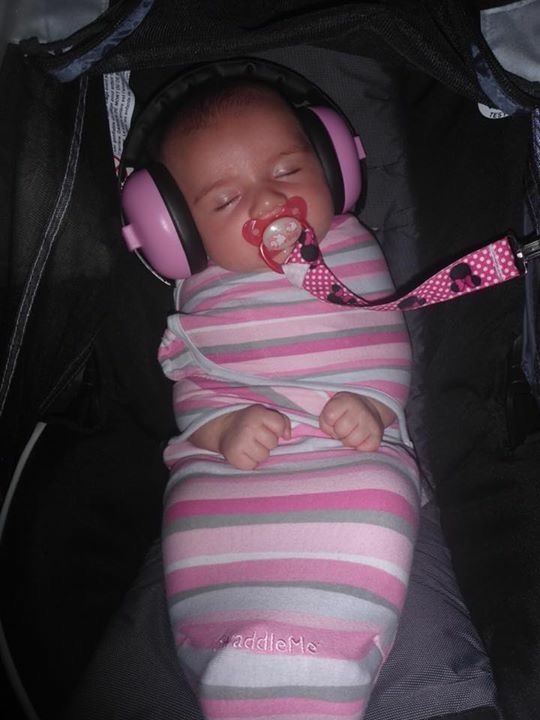 Your experience with baby Jenessa on her first trip sounded amazing; most of all I loved how you realized it was going to be different and you went with the flow! Looking forward to hearing more about your family travel adventures in the future.